Going home is romantic, it’s sentimental and it’s nostalgic. But if you were to ask me, or new Chelsea signing Cesc Fabregas, you can never really go home. At the age of 16, talented FC Barcelona and local boy Francesc “Cesc” Fabregas left the sunny Catalan coast of Spain for an opportunity with English Premier League side Arsenal. Fabregas progressed rapidly through the ranks and got consistent first team action during the 2004-2005 campaign, his second year with the team. He continued to impress and cement himself into Arsene Wenger’s starting 11. So impressive was his play that early in the 2008 season, he was made team captain at only 20 years old. In the summer of 2010, rumors intensified that Cesc’s former club, FC Barcelona, was keen on bringing the World Champion back to the Camp Nou. Although he stayed at Arsenal for the 2010 season, the writing was on the wall. The following summer, Cesc Fabregas came home to be reunited with his boyhood club and to play under his idol, Pep Guardiola. While his homecoming was widely popular with the fans and players, his three years at Barcelona produced mixed results. Pep and his successors called for technically gifted players that were quick with the ball and stayed in position. While Cesc was technically gifted (and considered one of the best in the world at his position) he had a tendency to roam high up the pitch, thus leaving the defense exposed. He was an anarchic player playing in orderly system. This was in contrast to his time at Arsenal, where he was given the liberty to play up high, knowing that his teammates would cover for his absence. As hard as it was to admit, Cesc was a round hole in Barca’s square peg. He may have been born in Barcelona and had “Barca in his DNA” but his playing style had been forged in London, and he no longer fit the Barca mold. Cesc’s stay in Barcelona finally ended in June of 2014, when heralded manager Jose Mourinho brought him over to Stamford Bridge and Chelsea FC for a fee of 33 million Euro. 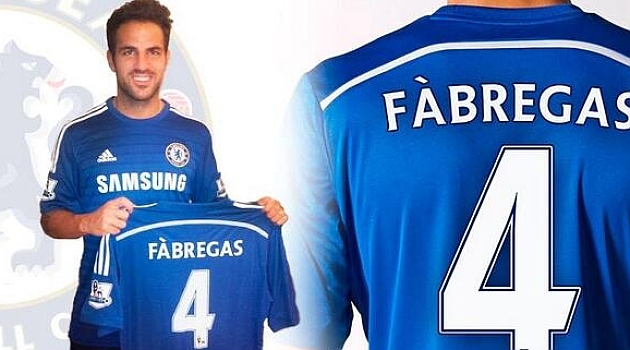 The Portuguese coach commented that Cesc “was the missing piece to the Chelsea engine.” And unlike Pep or the other Barca managers, Mourinho knows EXACTLY where to use his new #4. 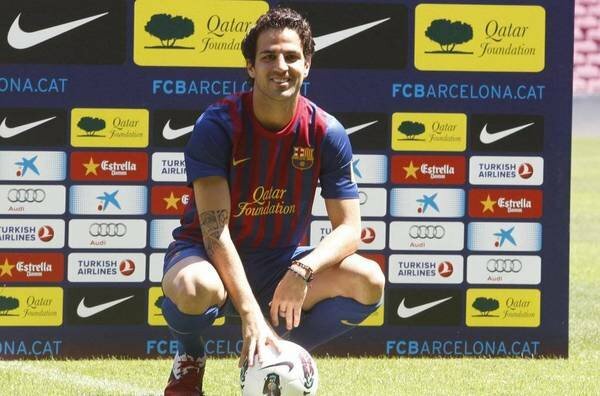 Cesc’s homecoming didn’t have a fairytale ending, and he wound up leaving home AGAIN. The trouble with going home is that it’s not what you expected. You’ve been changed by life, by your adventures at school, work or travels. You expect to come back and see that the city has changed too. But that’s not the case. When I moved back home after SDSU in 2010, I expected to come back and show Modesto that I had grown and was ready to contribute. After all, isn’t that what you do after you graduate? You come back and give back! But the trouble was that the city had not changed, I had changed. Similarly to Fabregas, the romanticism of coming home soon made way for the frustrating reality. It was painful and hard to realize, but I wasn’t a fit for Modesto. The city was conservative, with established industries and a certain way of doing things. My ideas and thirst on entrepreneurship, technology and leadership were like checkers pieces on a Monopoly game board. They didn’t fit nor make sense. Had I been adamant about real estate, law enforcement or agriculture I would have been a great fit. But my ideas on work and life were forged by years spent outside of the city and outside of the country. My optimism and hope for my hometown were soon buried under a sense of resentment and anger. In addition to it’s conservative (economic) values, Modesto, and the neighboring cities, took the biggest hit from the Great Recession. Businesses were closing, jobs weren’t hiring, and it seemed like I was going to get stuck in a cycle of under and unemployment. It was painful. Not just because of the economic hard times myself, my family and millions of people were going through, but what also hurt was that my homecoming wasn’t going to work out. I loved my hometown wanted to be a part of it’s fabric. I had “209” in my DNA! Modesto was the city that both believed in me yet impeded my progress. It wanted me to succeed, but it didn’t have anything to offer me. Similarly, I couldn’t sacrifice my hard work and ambitions to fit into the city’s system. I was Cesc Fabregas and Modesto was FC Barcelona. The paradox of leaving (again) in 2012 was that I wouldn’t be where I am now had it not been for the values and lessons instilled in me during my 19 or so years of growing up in the Central Valley. In the end however, while I will visit Modesto every chance I get, I can never really go home again. I would agree if the idea of success is going to work for a company that is more forward thinking, modern, insert any buzzword here. However, I would strongly disagree if your goal was to start something of your own. If I was to try and start my company in the bay area or silicon valley, it would be impossible to grow it to the point where it could begin to scale. Sure there is more talent in those areas but the reason for that is that nobody with talent decides to stay behind and start something of their own. There is nothing wrong with leaving home and for some, they need that because they can’t get out of the social groups they belong to and those social groups end up dragging them down. If someone is truly ambitious and can think big, they can achieve anywhere, even in soccer references. If you build something amazing, people will come to you. Residing in the bay area has nothing to do with it other than provide a better community. I don’t really feel that I need that community to thrive. Obviously this is different for each person and for each case but the issues you suggested Modesto having is because nobody stays. They all leave, so how do you expect anything to move forward or provide better opportunity when everybody leaves to chase opportunity elsewhere? My mindset on this is not the current popular mindset, but you can already see this happening in other parts of the US where startup communities are popping up everywhere. I want to be the person who helps build a startup community rather than join in on one. Not saying that there is anything wrong with it, there needs to be people on both sides of the fence. I just hate to see such talented people leave a community that they obviously care about when they themselves have so much to offer. You are also an outlier. A small fraction of the people who head to the bay area get to experience what you have so far. You are still young and learning. Perhaps all of that will one day help you decide to be an active part of a movement rather than part of one that has already kind of seen its peak. I would love to have a discussion with you about what I am currently working on to soon help promote the Central Valley. My goal is to help spread the mindset that you don’t have to go to the bay area or some overly inflated tech community to do something great. There are some huge startups that were founded in and reside in some of the smallest communities in the United States. If you are building something truly great, you do not need to be in the bay area for that to happen. Consider what will happen to all communities like Modesto if all of their ambitious and talented people such as yourself leave to go elsewhere? Thanks for posting this btw. I really enjoy your writing style even though Soccer ranks somewhere around colonoscope on my range of enjoyable activities. Great to hear from you. Thanks for the kind words and for reading. I agree that starting something in my hometown (our hometown) would be a dream come true. My point was that for anyone leaving home, be it Modesto, Paris or NYC, it’s hard to “come back home” because you have changed in a way the city hasn’t. That has nothing to do with the city itself, rather you’ve been changed by your experiences. I’ve had friends all over the world tell me the same thing when they’ve come back to their home cities. And yes, I would love to hear what you’re up to. I’ll call you on Friday, if you’re around?